A mate Kindly sent me some tau, he did warn me the hammerhead was heavily painted and needed stripping. So when it turned up i spent over a week soaking and scrubbing it to try to salvage it only to discover it was caked in glue. Not to be beaten by the project i turned it into terrain. Only took a day to make and paint. Terrain building is so fast compared to miniature painting. It looks great. What did you make the bases out of? 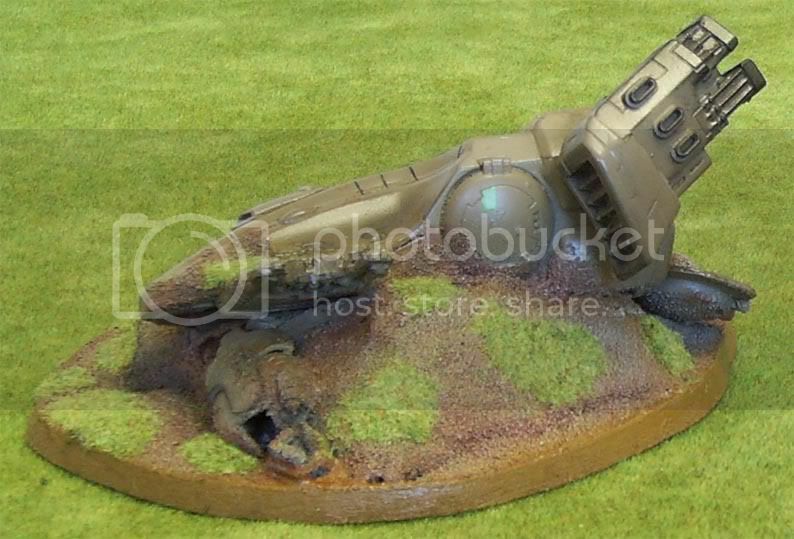 Looking great Gareth, this gives me the inspiration to hack up some of my old Cadian Guardsman for an upcoming project. But I realy like the little details, like the black marks on the nose of it, makes it look like it went down in a bit of flames. Looks great. 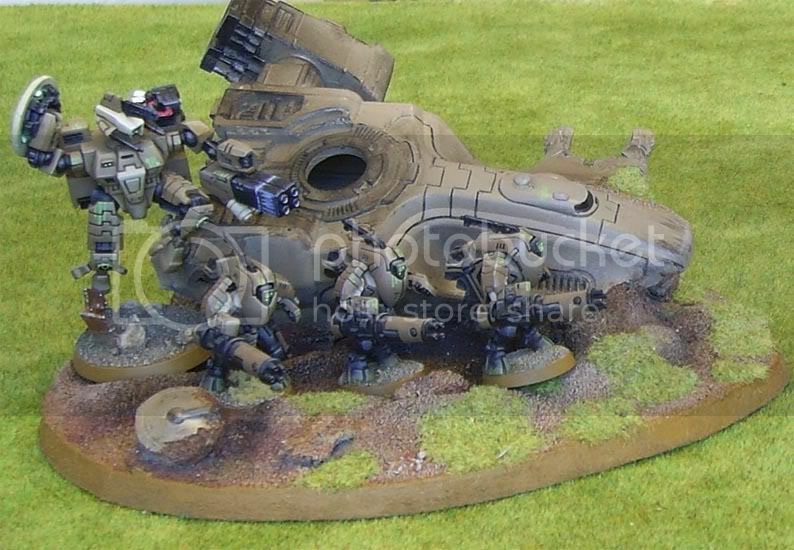 Makes me feel better about buying an old wraithlord at discount price just to make it into terrain. That is soo cool. Great terrain modeling, esp. the impact marks. Good stuff. 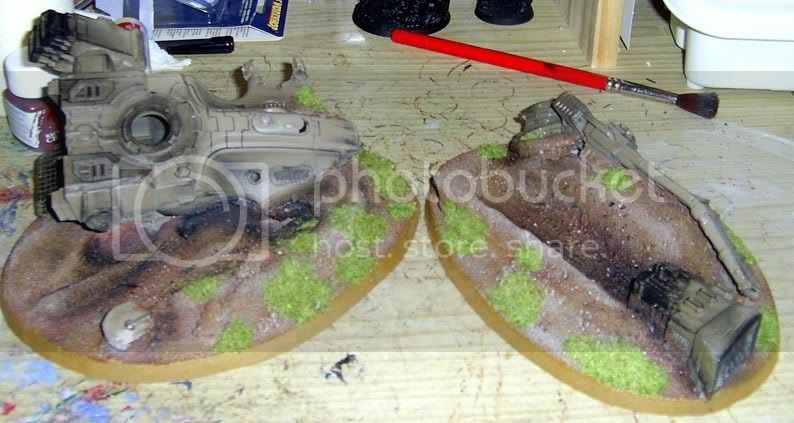 What did you use for the basing? Very nice terrain. I really like how you gave the model a nice amount of battle damage and scorch marks. base is mdf, cut with a jigsaw at an angle. I&#39;m a complete terrain newbie, and these were fun. I thnk i may get round to painting my Cities of death terrain soon!